His family present all the time with the guest to give service. Gaaj Beach Holiday Resort is newly constructed cottages with four rooms located exactly at beach. 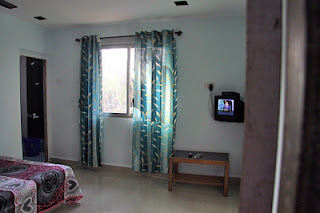 It is a pleasant homestay and beach located at Tondavali. Sea side cottages. All rooms are equipped with all modern facilities surrounded by coconut and palm trees.